“Computer equipment contains environmentally hazardous waste and should be disposed of properly.” That’s the official word from the state of North Carolina. They have followed up that ominous talk by enacting a state law that bans TVs and computer equipment from being dumped into any landfills in North Carolina. They haven’t left the citizens high and dry when it comes to getting rid of personal e-waste. You can drop off your e-waste at a few certifies centers around Raleigh but there are restrictions. 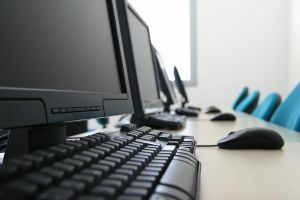 However the list of what they won’t take is a bit longer: “broken flat-screen LCD monitors, CRT monitors, TVs, desktop computers (P4 or older), printers, faxes, copiers or scanners.” What happens if you want to get rid of that stuff? To get it done right you’ll need to go off the government grid and give Junk King a call. These are the junk removal experts who won’t turn away any of your junk! Once you embrace the concept that your e-waste can only be safely disposed of with a company like Junk King then you have two choices. Give them a call to set up a removal appointment or hold onto your stuff. The first choice is easy and makes perfect sense. The second choice is just adding to the clutter in your home. If you’re never going to use that TV or computer again why hold onto it? With Junk King Raleigh that stuff can be gone for good. Hiring Junk King to cart off your e-waste doesn’t limit them to that specific job. They’ll be coming with a huge truck. How can you fill it up? Take a stroll down the basement or up in the attic. Is there some furniture that has seen better days? Junk King can move that out and drop it off to a charity that specializes in refurbishing sofas, chairs and tables. On that same removal appointment, Junk King can also load up anything you have in your backyard that you want to get rid of like old auto parts, a lawnmower, BBQ grill or kid’s swing set. As with your e-waste, Junk King will make sure everything that collect is gotten rid of the right way. In fact, up to 60% of all the junk collected by Junk King is recycled. When you’re ready Junk King Raleigh will be standing by to help de-clutter your home. This entry was posted in E-Waste Recycling, Junk King Raleigh, Raleigh Appliance Disposal, Raleigh Junk Removal and tagged Raleigh E-Waste, Raleigh Junk Removal on June 20, 2013 by Britt Holcomb. Last updated August 1, 2017 .